Whattup! It’s my birthday. Go, write on my wall, then come back. Or don’t. I don’t care. I’m 26 today, not that anyone really cares about your birthday past 21. But still, guys, I’m so young! Seriously, like 90% of my friends/family are older than me. Sure, I get sore after tough workouts, but not THAT sore. Do “kids these days” annoy me? Kinda, but not really. I’m still young enough to be hip, yet discerning enough to know when a trend is destined to fail (“On Fleek” was possibly the worst phrase I’d heard in my life, so I’m happy that’s over with… that’s over with, right?). Embrace the age of click bait. If everyone else is sharing pointless articles with all-caps headlines, why not me? Stay in touch with my Missouri people—this one is actually genuine. For that matter, continue to stay in touch with my Chardon and Pittsburgh people, too. Do more laundry. Maybe genuine. Be more brooding: I need more of that Bruce Wayne mystique to me. I’m obviously not just going to dive right in—I’ll probably work it into my schedule like college. Tuesday/Thursday I’ll work on my brooding. Monday/Wednesday/Friday I’ll stick to my usual personality. Sidenote: how to you spell the shortened version of usual? Yuge? I feel like the argument for a softer “g” could be made on that, but Trump has definitely turned it into a form of “huge” so that one’s out… Yuje? Yooj? Get back to me. Figure out a way to convince Courtny we don’t need a dog for another year. Pretty sure this is genuine, though I do love dogs. Still, that’s a lot of responsibility. If you don’t follow me on Instagram, join the 3K+ that do! @philnavatsykphoto. Rephrase the above statement to make my shameless self-promotion appear to be an actual goal. Last year I successfully convinced six people that I know what I’m talking about when it comes to cars (spoiler alert: I don’t). This year I’d like to pump that number up to 10. I think this goes without saying, but this goal does not include actually learning anything new about cars. Go on a trip. It’s been a few months since I was gone for a few months… I feel like I need a break. Genuine. Not the “needing a break” part. I just want to travel more. Find out how to celebrify (Yep. It’s a word now) myself. More and more people are recognizing Courtny in public, which of course deprives me of the attention I seek. Alternate my hair swoop on a weekly basis. This one might be genuine, too, now that I’m thinking about it. Mentally prepare to run a marathon when I’m 27. Or 28. Depends on how long it takes me to mentally prepare. After all, mental preparation is not a sprint, it’s—wait for it—a MARATHON! Integrate more puns into every day conversation. While I rarely find them to be genuinely funny, they can be a good warm-up for one of my truly witty moments. Come up with more goals. Good stuff, people. For those of you who posted on my timeline, thanks for the birthday wishes. Hit me up if you wanna PayPal me any birthday money. Whattup, my Missouri people? I planned on writing this right when we moved, so I’m about 3 months late. Can I blame Courtny for that? I was 97% sure my mom wasn’t going to wake me up with a bacon, egg, and English muffin (because bagels are for commoners) breakfast sandwich. Most people I ran into had probably never watched a real college football team. HAHA, Mizzou fans! Does that sting? O-H! On a related note, people probably wouldn’t share my love for Ohio sports. Of course, my biggest concern was whether or not Courtny and I would be able to make friends outside of each other. I find myself to be generally lovable. I’m a little guy, so I don’t impose much of a threat to people. I have eyes that take me from an 8.5 to a 9.3, and a hair swoop that brings me to the rarified air of a 9.8. I’m humble. I’m really witty, like, on another level, so I’ll make you laugh. I’ll make me laugh, too. I have this ability to talk about cars for a 6-minute period even though I know absolutely nothing about cars. After 6 minutes I find an opportune “That’s what she said” moment and change the topic to The Office, which I’m much more knowledgeable on. So, yeah, on paper, I was set. Eyes, swoop, witty, BS-capable… did I mention humble? Humility was big. Oh, and my girlfriend (WOAH, THAT’S WEIRD TO SAY) was even cooler, and, believe it or not, better looking than me. Probably more humble, too. Here’s what I’ll say about our short time in Missouri: if you’ve ever moved anywhere, especially after college, you know how hard it can be to make good friends. For Courtny and me, that wasn’t a problem. And, no, I’m not gonna double up on paragraphs about how awesome we are. The real reason it wasn’t a problem was because of the people who would become our family away from family. I have been the biggest hater of mirror selfies since middle school. You two are the exception. Literally the first night we were in Missouri, Ashley, you invited us to go out with the KRCG crew in Columbia. I don’t know if you had Facebook stalked us or saw my hilarious Twitter feed (at the time it was good – now it’s basically just Cleveland sports updates), but inviting the new guys out on their first night is something not a lot of people would do. I know I typically turn up my nose to the newbies. So, exhausted from our 14 hours of driving and moving stuff in all day, we came out to the bar to meet the Missouri peeps. Honestly, I don’t remember anything from that night (and, no, people, it’s not from alcohol consumption). I was exhausted from moving and probably not funny. My swoop was probably looking a bit shaggy at the time. I actually think I swooped the other direction at that time – it wasn’t until my first haircut at Blanc Studio (I’m so fancy, you already know) that my eyes were opened to the left-to-right swoop. Game-changer. I remember Garrett telling CoJo he was gonna “put you through the wringer” during her upcoming training week, which was a very G-Money thing to say. Do you like how I started a paragraph about you guys and then literally didn’t mention Josh once and mostly focused on my former Twitter glory and the various stages of my hair swoop? Let’s try this again: you guys are awesome, and it’s crazy to think that when we met just a couple years ago, we were all in the boyfriend/girlfriend stage of our respective relationships. Now we got dem rings on! Thank you so much for welcoming us to Missouri. Speaking of thank you’s, you guys also represented the CoMo Crew at our wedding! Thank you for making that trip – that’s not a short drive, no matter how amazing the dinner and band are. We are so happy that we got to celebrate with you guys in Charleston, and we can’t wait for our next reunion. We can do married couples things, like play Pictionary or something. I’m nearly at two pages of this word doc, so I’m gonna start consolidating some people here. I’ll start with Liz. Honestly, had you lived closer with that adorable puppy and jet ski access, we probably would have stayed in Missouri. That said; don’t blame yourself for our departure. Or do. I don’t care. When we inevitably vacation to Missouri (file that under “things I never thought I’d say”), we’ll definitely make a stop in Owensville. Ryann: Honestly, at this point, I see your name and think of the Indians losing game 7. So, yes, you are synonymous with pain. I’ll get over it at some point, but not yet. Not yet. Ben & Steven: look, I’m not gonna lie to you, when I hear my phone go off 43 times in two minutes, I automatically assume it’s you two blowing up the group message because you apparently forgot that you have each other’s numbers in your phones. HOWEVER, I also appreciate that your level of activity in the group message keeps us all in contact. It was great getting to see you guys at the Wedding of the Year. Garrett: On the flip side, if I ever see there’s a message from you in the group, I open it IMMEDIATELY. You da man. As a side note, I admire your dedication to your craft – keep working! You’re going places. I figured I’d keep you two together, because, you know, huskies. I’ll miss the barn parties, Leslie. Especially planning them and choosing who is worthy of being invited. I guess that falls on your shoulders now. We might need some of that sangria at some point, so barrel it up and I’ll handle the shipping costs. Stephanie, you always laugh at my jokes, which in turn boosts my ego, which in turn gets me to tell more jokes. It’s a beautiful cycle. Courtny always had great stories about you two and the rest of the weekend crew; some of her favorite work memories were with you by her side. First, Chelsea, I’ve known you the shortest time out of any of these guys – good job getting in the blog! You know I once had a post hit over 200,000 views. So… I guess I’m saying congrats on your celebrity status. Ok, enough about me – I wish we could have had more time getting to know each other in Missouri. Wednesday game nights had the potential to be a long-running tradition. Weather Dan. The Flame-eradicator. Mustache Man. For two years, that’s a lot of character development. Dude, you are literally the reason we managed to get all of our stuff to Virginia. I feel like I’m always going to owe you for the insane amount of work you put in getting our boxes packed while I just kinda supervised and provided moral support. Most of our memories in Columbia involve you in some capacity. Columbia was always going to be 12 hours from our families, but you became family to us. Which is why I’m never going to feel bad for making fun of your mustache. And if you ever think it’s getting old, just remember that the “Oh, hey Mr. Jodon” joke has been running for almost a year (although I think we’ve moved on to “Mr. Zavala” now). Miss you, kid. Just like Ashley and Josh, you were one of the first people to make us feel at home in Columbia. I’ll forever relish the memories of hanging out at your apartment on the weekends. Food. Drinks. Outdoor Deck. Crosby defecating on the floor as a result of the pure awe my dance moves create. And, let’s be honest, when my girlfriend (again, weird to say) was busy working on the 4th of July, who was there to sweep me off my feet and hit the town for some drinks and fireworks? You were. And when the time came for you to leave Columbia, you left behind a legacy: I will forever be “Phil Miller” to this whole group. You created that. You. Thanks for pushing Parks and Rec so hard on us. We needed a little bit of Netflix life coaching at the time. Remember when I was working near Springfield for a company that only paid based on commission and I made zero sales because literally not a single person that day was remotely interested in buying a family studio portrait so I was essentially just working at that place for free? (Purposeful run-on sentence, grammar police) Well, thank you for letting me sleep in your home and collect my $55 hotel per diem (because SO many halfway decent hotels are only $55) as income. Didn’t Courtny and I basically run the table during our last Uno showdown in Springfield? I’m pretty sure we did. There are so many other people that made Columbia a great place to live for us (including Courtny’s former boss, who is awesome-sauce), but I feel like this post is getting way too long. Who else did I miss? Brian & Kristen: I’d write about you, but you don’t have Facebook, and I only do these sentimental things for likes. We miss playing Catan with you. Joe: I tagged you in this post on Facebook with the hopes that you would read through this entire thing, just to see that you are at the very end. It’s not a “you save the best for last” situation (though you are awesome). It’s my personal revenge for that time you wanted to meet Courtny and me for drinks at 9 but then showed up at like 10:45. Being late is our thing. Don’t try to take that from us. Miss you, buddy. Ok that’s all for now. If you had a big-time impact on our lives and I didn’t write about you, don’t be mad at me; I spent most of the post writing about myself. Deuces. I feel like the title is pretty self-explanatory. Don’t worry, that’s coming soon. For now, here is 1 photo from each day of our South Island road trip. Enjoy! Thanks for reading! Now it’s time to hit up some more wineries on Waiheke! I tossed and turned at night. With each passing day, the weight of indecision burdened my mind like, I don’t know, something heavy. But after countless hours of inner debate, my choice has been made: I’m coming out of retirement. I’m returning to the blogosphere. Co-emceed my sister, Julie’s, wedding. This is important to note in 4 lines. Went on a 5-day, sleep-deprived road trip through Eastern Europe. Gotten married to my totally awesome wife. Planning was super easy because we already knew of an incredible band and a cheap emcee from Julie and Jeromy’s wedding. Maybe super easy is an exaggeration… but easier! And, finally, the reason for my grand return to the world of writing sans proofreading: I planned the most epic honeymoon ever. I’ve had 4 people say they want to read updates throughout the journey, and with that kind of demand, how could I not oblige? Our honeymoon began the way I imagine most do—pulling an all-nighter to get ready, quadruple-checking for passports, and arguing whether or not to waste a precious protein bar, topped off by a 4AM, stress-filled walk through the Kansas City Airport parking garage wondering where the heck the elevators are. But after an incredibly efficient security process (just another reason Kansas City is way better than St. Louis), we were off to La La Land. Our wonderful host, Bri, picked us up from LAX and sped us back to her home for a much-needed nap. Bri and I go way back—we met our sophomore year at Point Park and spent countless nights getting drinks at Courthouse or, when times were tighter, just drinking our own alcohol on the roof of the Carlyle. We even tag-teamed a project that we were apparently not supposed to tag-team, and, were it not for our incredible charm and general attractiveness, would have had to re-take the class. * In other words: a bond was formed. Upon our awakening, all of us got ready for the evening and went out to a delicious Mexican place in long beach. It may have been the fact that I was so gung-ho on the whole “don’t waste any protein bars” thing, and therefore hadn’t eaten in close to 24 hours, but WOW was this burrito delicious. The margarita was equally amazing—a little bit of mango, a little tequila, and a little freedom. Shaken, not stirred. The rest of our night was just spent catching up with Bri and getting to know her longtime boyfriend, John, who is equally fantastic, albeit slightly taller. En la mañana, we set off for Venice Beach. People watching is one of my favorite activities, so VB was pretty much all I could ask for. There were the cringeworthy moments: some guy walking on a bunch of broken bottles, or the dude on bath salts (not confirmed, just Courtny’s theory) struggling to walk while screaming random words that always seemed to be followed by the name of our new President. Not even necessarily bad words, though, just random phrases that didn’t really make any sense. There were the bizarre moments: a shirtless, tiny-undied (pronounced UN-deed, as in underwear) man walking down the street while wearing horns on his head. Strangely, this is the only bizarre moment I can think of right now, though I think Bathsalts Man qualifies as both cringe-worthy and bizarre. There was a moment of truth: due to my Oakley’s, it was impossible for people to make eye contact with me, so it was rare for someone to come up and ask me to buy their mixtapes. * However, I did have one man come up to me and ask me where I was from. In my mind, I was like, “Redondo (part of LA that’s super fun to say). Just say Redondo and he gives up and leaves you alone.” I hesitated. “CLEVELAND, baby!” Of course he then tried to haggle me to buy his meditation book, but it was worth it. And, of course, there were the beautiful moments: the skateboarders being pulled by their smiling dogs, the sun-kissed waves crashing onto the beach… But nothing topped the electric violinist playing on the Santa Monica pier. He did get my money. And a lot of other peoples’ money. And he was amaze-balls. We followed up the beach with a journey to Hollywood, where CoJo saw Shania Twain………’s name written on a star. Does Marky Mark have a star? I should have been looking for that. Today, we fly to New Zealand, where we hope to gain accents, curly hair, and a nice patch of fur on our feet to complete our transition into hobbits. Wish us well! Deuces, Merica. *If you don’t have “Marky Mark and the Funky Bunch Radio” on your Pandora playlists, you are living a fake life. *It’s easy to ignore the “your man-card is taken” text from your brother-in-law when you’re robed up and sipping champagne in your floor-to-ceiling windowed suite at the Trump Hotel in Chicago. *Seriously, she’s so lovable. Unfortunately, by comparison, I become less lovable to new acquaintances, so I usually try to make my 5-minute impression before introducing her. *Or some kind of similar punishment. *Microsoft word tells me that “mixtape” should be 2 words. If this is the case, then the English language is wrong and I hate it. Nope, that’s not the name of the latest Usher album, but guess what? I’m pretty much as popular as Usher now. As many of you know, my last blog had over 10,000 Facebook shares. Those of you who know me are probably wondering if my recent fame and new fans have gone straight to my head. Well the answer to that riddle is yes! In an effort to show my versatility as a writer, I was planning on writing a super emotional blog about my love for Chardon, Cleveland, and Ohio as a whole. But we’re gonna hold off on that one; as an unrelenting optimist, I would instead like to tell you all about my new home! Now I know most of my friends think the United States consists of California, Texas, and everything east of the Mississippi. I also how hard it is to Google “Map of the United States”, so I’ll help you out. Missouri is sandwiched between Illinois and Kansas (that state with all the tornadoes). Arkansas is directly below me and Iowa is on top of me (hey oh!). So it’s been 24 hours—what has the Show Me State shown me? The first thing I noticed in Missouri was the number of messages on the side of the road. I would be driving and see a big sign flashing, “Don’t respond yet—wait until you stop.” It wasn’t just about txting though—“Have a safe night”, “Enjoy your drive”, “It’s ok to be late. Slow down”. 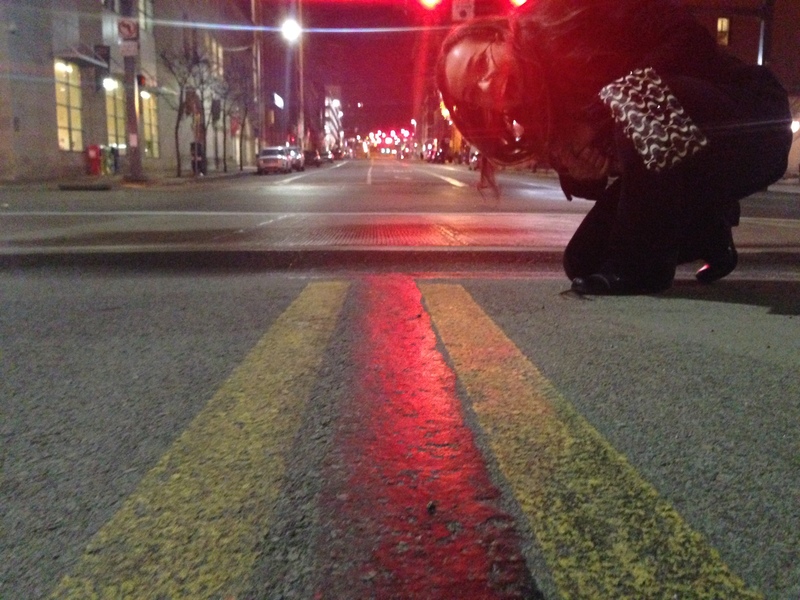 By the time I got to Columbia, it was like I already had a personal relationship with MoDOT. Sidenote: MoDOT is way more fun to say than ODOT or PennDOT. MoDOT also has swag. I passed a sign saying “Road Reconstruction: Completed as Promised!” Is this normal? I haven’t paid attention in Ohio and every road that was under construction in Pittsburgh when I moved there 3 years ago is still being worked on. What else? There’s a Sonic a mile from my apartment. One mile. There’s a White Castle three miles from my apartment. In other words, I love this place. Ok if that last hashtag doesn’t take off, I’ll be really disappointed. That’s all for tonight, folks! I’ll be sure to update everyone again soon… Now it’s time to go take advantage of the central time zone and watch my Cavs take on the Lakers at 9:30 (10:30 Eastern). *Are you one of the millions of Phil’s Phans? Are you all up in his business? Sign up for the premium edition of Eurallopeinmybusiness to gain exclusive bonus fun facts from each of his blogs! 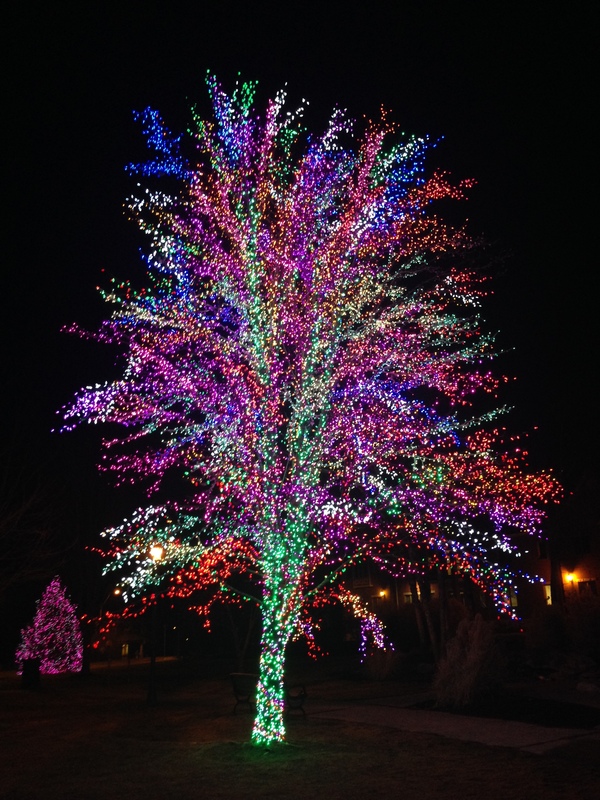 Or just scroll past this ridiculous Christmas tree. 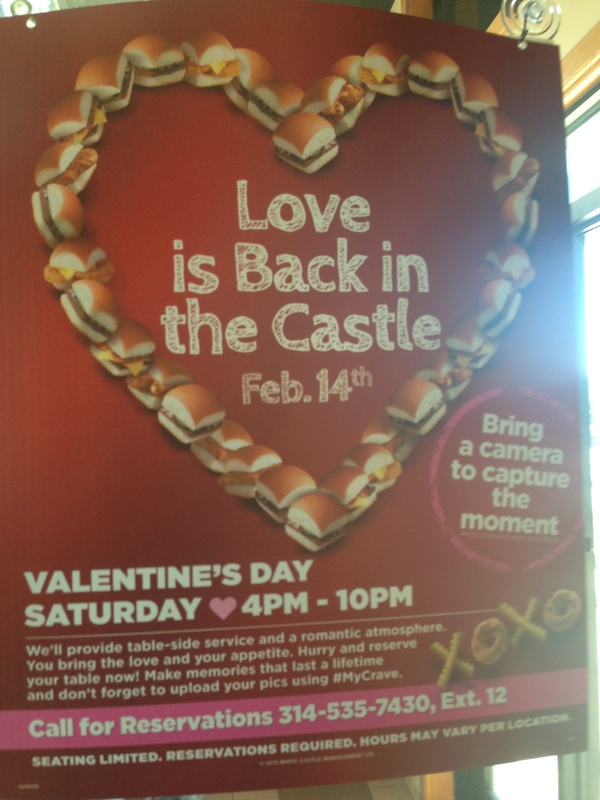 White Castle is asking for reservations for Valentine’s Day. That is not a joke. This blog would have been posted a few nights ago (when I wrote it) but my free Internet at the Hampton Inn ended. I’m not paying $4.95 to entertain you people. Do you know what $4.95 could get me when Courtny and I go to White Castle for Valentine’s Day? Turns out I could just renew my free Internet. My dad and I have been reminding people that Ohio State has the best football team in the country. Don has also been bragging about his ability to find amazing restaurants everywhere he goes (new nickname: The Original TripAdvisor). He delivered again this weekend. The real TripAdvisor lists over 300 restaurants in Columbia. I don’t think I’m going to starve. I don’t know what pop is called in Missouri. It might be soda. Maybe it’s something crazy that I don’t even know about. I just hope Missourians don’t call everything Coke. Have a great night everyone! And remember… #ItsNotDeliveryItsDaGrandmas. Spread it like wildfire. USC is 125 miles from the stadium. Nebraska is 1,558. They’re both really far from Orlando. This is a neutral site game. Congrats to Mizzou. Auburn is 463 miles from the stadium. Wisconsin is 1,348. Baylor is 98 miles from the stadium. Michigan State is 1,136. Alabama is 292 miles from the stadium. Ohio State is 914. I understand nobody wants to go to Wisconsin in January, but I just like to look at those numbers because it makes it that much sweeter. Now… on to my rant. Time to ruffle some feathers, people. In case you weren’t aware, I am an Ohio State fan. Like most Ohio State fans, I make it painfully obvious by yelling “O-H!” every time I see someone in any type of Buckeye apparel. Of course, the person on the other end will immediately respond. It’s gotten to the point where not replying with “I-O!” and a fist pump is almost worse than leaving a high five hanging. I will freely admit that Ohio State fans are obnoxious. Heck, I’ll even say that we are the 2nd most obnoxious fans in all of major sports. So, who is the most obnoxious group? The Buckeye haters—especially the ones who double as analysts. The way Ohio State and the Big Ten were disrespected this year is a joke. I would LOVE to know how many critics of Ohio State’s schedule actually watched the Big Ten this season. Because anyone who saw Wisconsin’s running game would have seen them beating Auburn. I’ll admit that I had Wisconsin winning by double digits, but a win is a win. On top of that, there’s no way Michigan State should have been a shock to anyone either. But guess what? It’s cool to say the Big Ten is horrible. Why is that? Because they were ONCE the most overrated conference in college football? When Florida and LSU slaughtered the Buckeyes in back-to-back seasons, there is no doubt the Big Ten had been overrated for a while. However, what exactly does that have to do with 2014? Why is Urban Meyer the best coach in the country when he’s in the SEC, but he comes to the Big Ten and now you don’t hear his name? Riddle me that, Mark May. So, because I know none of you actually watched this team play this year, let me give you a little recap of our undeserving season. We get to start off the year with the news that our starting quarterback, and one of the preseason Heisman leaders, won’t play this season. We were already being labeled as the “overrated” team coming in ranked #4, and we proved our critics right against Virginia Tech. It’s crazy to think that a kid playing the most important position on the field, in his first meaningful college football game, would play poorly. This might be the only full game that Mark May watched the Buckeyes play. There are two types of athletes in the world—competitors and non-competitors. I think it’s safe to say we found out what type of player J.T. Barrett is. This kid put together one of the best college football seasons in recent history and led the Buckeyes to win after win. It wasn’t always pretty, but please remind me what great college football team hasn’t struggled with any opponents. Let’s talk about Michigan State. Oh, Sparta, I genuinely felt bad for you this year. See, last season, when Michigan State beat Ohio State, they were hailed as the only legit Big Ten team. This year’s team fought hard, but eventually lost to a team that was better than them. So now, just ONE YEAR LATER, Michigan State is “overrated”, “just a product of a horrible conference”, and all sorts of other labels that are simply, OBJECTIVELY, untrue. So THANK YOU Sparta. The way you played against Baylor (you know, that team that should have been in the playoffs ahead of Ohio State) was a beautiful display from an underrated and underappreciated team. Conference championship week. Ohio State vs. Wisconsin. Wisconsin’s running game would be too much for the Buckeyes. Oh, and one minor detail. Heisman candidate J.T. Barrett broke his ankle against Michigan, leaving the Buckeyes with their THIRD-string quarterback, Cardale 12-Guage Jones. The Badgers’ defense would stifle this kid. The first game of his career is in a conference championship game? Mark May has been waiting all season for something like this to happen. Touchdown, Ohio State. Touchdown, Ohio State. Touchdown, Ohio State. Touchdown, Ohio State. And however many more times I need to say that until the score reaches 59-0. All of a sudden, “Wisconsin is awful.” “Wisconsin is the worst 15-seed in the history of college football.” “With a conference like this, OF COURSE Ohio State only has one loss.” So shoutout to the Badgers. The worst 15-seed in the history of sports just beat Auburn (who was viewed by many as the team with the best shot to beat Alabama) in a game that should not have been nearly as close as the score. It turns out, Wisconsin’s RECORD SETTING running game is actually pretty good. The Buckeyes were just the better team this season. Alabama is clearly better than any other team in the country. Oregon avenged their early season loss by slaughtering that same team in the conference championship game. Florida State went undefeated in the most unimpressive way possible and against the weakest conference of the Power 5. But, undefeated is undefeated, and I will never argue the fact that Florida State earned the right to get destroyed by Oregon. One playoff spot left. TCU. Baylor. Ohio State. I said it then and I’ll say it again: Baylor ruined TCU’s shot at the playoffs. For the record, I believe all three teams deserved to be in the playoff, but I also believe any playoff system should be at least eight teams. I still have yet to hear a legitimate argument as to why the Buckeyes did not deserve the 4th spot over both of these teams. If the Big 12 had a championship game, surely one of those two teams would have been in. But they don’t. 12-1 is better than 11-1. Baylor’s loss to West Virginia was at least as bad as Ohio State’s loss to Virginia Tech (let’s all remember that Baylor was healthy, at least compared to the Buckeyes). However, Baylor beat TCU and Kansas State. Tough to put TCU ahead of a team that beat them and finished with the same record. Plus, Ohio State just beat a 15th-ranked Wisconsin team 59-0. So the only remaining argument is that Ohio State played a horrible schedule. I don’t even need to say any more about that. The people who claimed the Big Ten was horrible this year are the people who didn’t watch the conference. The people who thought the Buckeyes would get annihilated against Alabama are (and have been proven) clueless. ESPECIALLY if they paid attention to the Wisconsin and Michigan State games. Plus, the Buckeyes have a decent coach you may have heard of. Exactly WHEN has Urban Meyer gotten blown out in his career as a coach? The guy has won 84.4% of the games he’s coached. (If he did get blown out at all, please remind me, because I didn’t take the time to look up all of his games). Did the committee get it right? Yes. Did the committee get it perfect? Not at all. That wasn’t an option. Five teams very clearly deserved to be in the playoffs this season, and I would have loved to see Michigan State and Baylor in there as well. I am thrilled that TCU beat down Ole Miss. With 5 power conferences, there is no way the playoffs should be restricted to four teams. I’m all about player safety, so go ahead and eliminate one of the regular season games. Does Bama really need to play Florida Atlantic? Think about how many times the BCS got it wrong in the past. This year’s national championship matchup would have seen Alabama on one side of the field. Florida State, despite their struggles, went undefeated in a power 5 conference and would have been the default second team. And they told us a playoff system wasn’t necessary. The Big Ten was, at one point, the most overrated conference in football. Remember when people thought it should be an OSU-Michigan rematch for the national title? However, just because they used to be overrated, that doesn’t mean they should be disrespected the way they were in 2014. Anyone who actually watched a good dose of Big Ten games would see that. Random, but thank goodness Michigan took a step toward turning around their program. The Big Ten needs them to be good again. If you think you have college football figured out, you’re wrong. Did anyone see the look on Urban’s face when Mark May started talking? Take out the name “Ohio State” and you’ll appreciate the narrative of this team too. Name another team that could compete after losing one Heisman candidate quarterback, let alone two of them. Last, but certainly not least: Oregon is a GREAT football team. They have been a dominant force all season long, and the national championship is going to be one great game to watch. And guess who has earned the right to come out of the other tunnel… O-H! I’m getting into this bad habit of warning my readers about poor writing due to exhaustion. That being said, I’m not ready to break that habit yet. See, Courtny got a job in Columbia, Missouri, which is awesome. The central time zone will be so clutch with primetime sporting events. The down side is that she starts on January 19th. Today is December 31st (at 1:30 AM), so that leaves less than three weeks until she starts. In that time, she needs to fill out all sorts of forms, find a car, find an affordable place to live, learn the area around Columbia (after all, she’ll be reporting on it), and fit in time to say goodbye to family and friends. If you know Courtny, you know she has 728 best friends, so that will be tough. As a sidenote, if I were her, I’d wait and see which friend did the best job of honoring me in my final days at home, and label her my singular best friend until another candidate one-ups her. So, Gabi, Katey, Bethany, Fran, Kelsey, Krystal, Chelsea, Hilary, Sears, Katie, Liz, Allie, Abby, Kristin, and whomever else I forgot… let the games begin. Where was I? Oh yeah, Pennsylvania. Well, PA, you really have become a 2nd home to me. Despite the horribly repetitive jokes about being a Browns fan, I managed to fall in love with you. I fell in love with a beautiful city, a beautiful girl, and a beautiful cheese pizza (plus ranch) every time I walked home from South Side. Sure, there are aspects I might never get over; I don’t know why people think pierogies are a Pittsburgh exclusive, the fact that people drive wheelchairs in the streets of Philly concerns me (in fact, a lot of Philly concerns me—fun city though), and BY FAR the most frustrating is also the most obvious—the Yinzer accent. 92% of the greater Pittsburgh area doesn’t speak English. I don’t know why “to be” is left out of every sentence. No, the clothes don’t need wershed. They need TO BE WASHED. I can already picture a lot of my favorite Pennsylvanians getting ready to smack me through their screens right now, so it’s time to pay them some compliments. Here it is, people: a one-blog summary of all the goodness Pennsylvania has brought me in the last four years. “Ah, the sweet scent of coal in the morning.” I feel like most people think this way when they think of Pennsylvania. Well, I am happy to report that Pennsylvania smells nothing like coal. It smells more like an Eat’n’Park smiley cookie, which is to say, it doesn’t really have a distinctive smell. Was that intro pointless? Only if you consider debunking myths pointless. Anyway, Pennsylvania is a beautiful state, but I’m here to tell you about one spot that was better than all the rest. Why? Because there are very few places like it in the world. 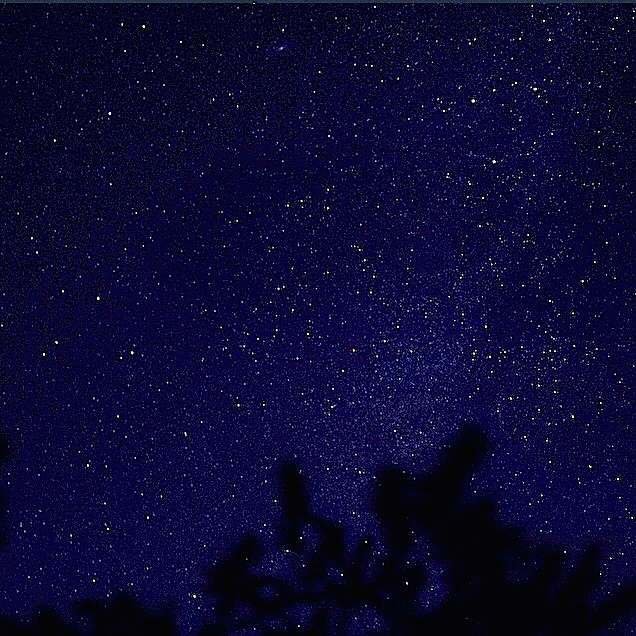 Consider this; there are 20 recognized dark sky parks worldwide. Of those 20, 12 of them are gold-tier dark sky parks. Cherry Springs State Park is one of those twelve. Now, I understand that I’m not here to educate, but to entertain, so I’ll cut to the chase: If you go to Cherry Springs on a clear night, you will see the best display of stars in your life. I don’t even know anything about constellations, but I know Courtny and I saw a ton. The shooting stars were seriously so bright that you could see trails of light behind them. You could see the Milky Way just how you can in those crazy awesome pictures. It was wild stuff. So, Pennsylvanians (and everyone else), go there. PA has two of the coolest cities around. For the big-city feel and a much better grid system, head to Philadelphia. If you want amazing beauty and some awesome bridges, head to Pittsburgh. If you want really cool architecture, you can’t miss. Great food? Can’t miss again. I didn’t get to Philadelphia often, so I can’t offer much wisdom on that front. Pittsburgh is different, though—I know everything there is to know about this city (at least I think I do, until James Hill goes on his daily Pittsburgh information rant). Southside: despite our up and down relationship, I think, in the end, you are a good thing. Just work on that parking situation. Strip District: you are misunderstood. Your substance makes up for the lack of flash… Mostly Kaya. I love Kaya. North Shore: Whether it was a city run or a casino walk, I hugged your waters weekly. Don’t let anyone change you, you beautiful piece of Pittsburgh. Market Square: I’m pretty sure your restaurants have 80% of the money I made at King Kone. I could go on and on… And I will. 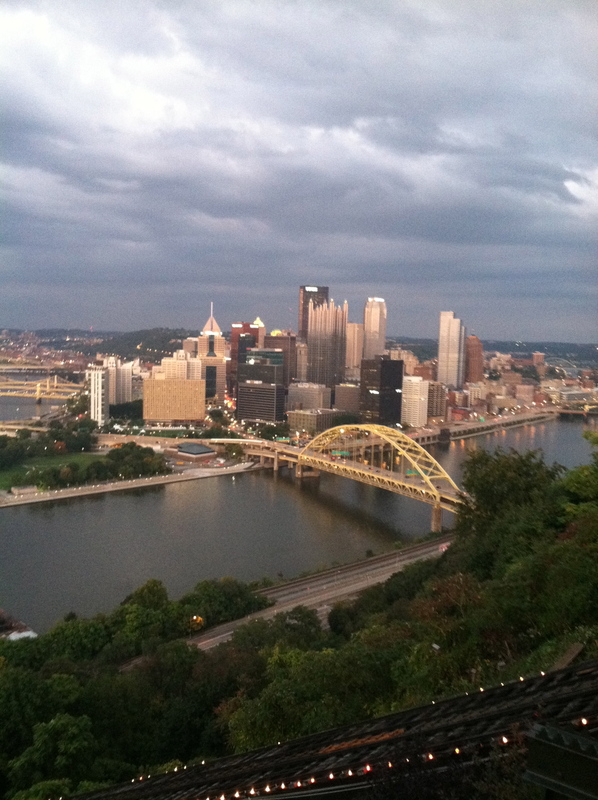 I dare any of you to find a better city view than that of Mount Washington. Of all the state parks in United States, does Point State Park have BY FAR the best phallic-shaped fountain? The answer to that riddle is YES. And PNC Park? Even when the Pirates were terrible, there was no denying the beauty of watching America’s Pastime in Pittsburgh. Now that they’re good, there’s even less of an excuse, Yinzers. Get out there and support your team in that beautiful stadium! On the other hand… Heinz Field: Until the Pitt Panthers prove they are worthy of playing in a legit stadium, kick them out. Chardon High School’s practice field has a better playing surface than Heinz, so get Pitt out of there and give Antonio Brown and crew fewer rolled ankles next season. Or switch to turf. But something needs to happen. The best part about living in Pennsylvania for three years wasn’t the cities or Primanti’s. It wasn’t Mount Washington or PNC Park. Heck, it wasn’t even the 1001 (Respect to the greatest apartment ever). No, in the most predictable and cliché way possible, it was the relationships. It was surviving another day of 5AM’s at Point State Park with my teammates during baseball season. It was sitting in the green room before Pioneer Sideline and Daybreak (although that one time Celina, Alex and I were super late to Daybreak). It was sneaking up to the roof with my closest friends to have a beer, or walking to Market Square with Courtny for a break during our marathons of The Office. Maybe the best part of Pittsburgh was going to The Body every week. But then, it could also be calling Allie to let me in when Courtny was predictably running late. Everyone remember when I made that awesome snapchat storyboard of me sneaking out of Luis’ microeconomics class? That got me mad street cred, and I really enjoyed showing it off (which is a drastic departure from my usual quiet, stick-to-myself attitude). Could it be that I actually enjoy looking back on the interrogation Chelsea put me through when Courtny and I first started dating? Don’t worry, Chelsea, I know you meant well. And who could forget Friendsgiving? What about my first Goblurrito with Jess and Courtny at Mad Mex? Allie, Remember when I put the Catwoman standup in your bathroom and you freaked out? HA! And Ryan, I already know you can’t wait to drink a few glasses of red zinfandel and plan another trip to Europe. Joe, Thursday nights at Ryan’s apartment were the start of our current hate-hate relationship. 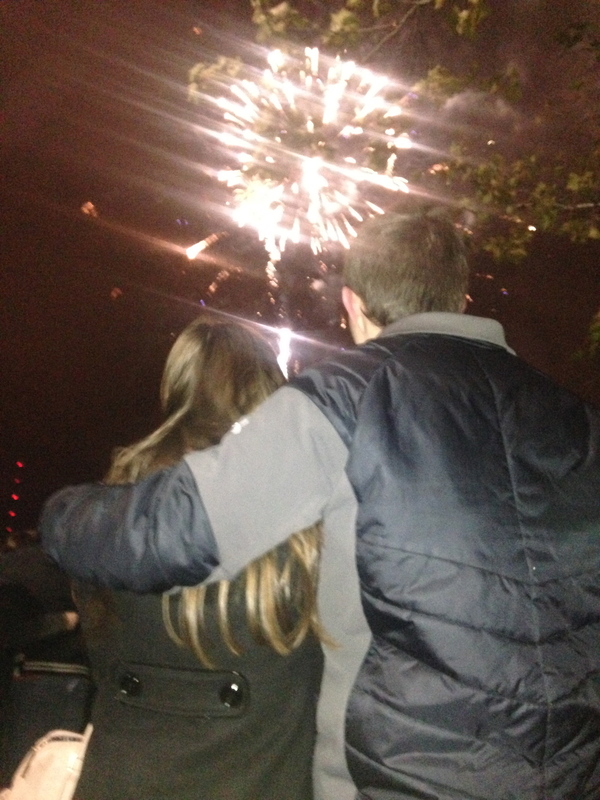 Bri, I knew we would hit it off as soon as we almost got kicked out of Point Park together. And Courtny, fortunately for you, that didn’t happen. Although I guess I would have been screwed, too. Kristin, I’ll never forget telling Courtny that an outdoor wedding had to be perfect weather to succeed. 73 and partly cloudy, I told her. Sure enough, it was 73 and partly cloudy on your wedding day. Bethany, since we’re talking about weddings, thanks again for allowing me to be the backup ring-bearer. Wait, you don’t even have a Facebook, you won’t see this. One of the bridesmaids tell her I said thanks, but deep down we all know I was more prepared for the big stage than that kid. James, I already mentioned your unending Pittsburgh knowledge, but shout out for your ability to spot a problem with a room and adjust the furniture to make it ten times better. You’re welcome, Carlyle. Mr. Bailey, any time a major sporting event is happening, I miss our radio show. There’s a reason we got those Fibilli awards, and it’s because we were hilarious. Maybe my favorite memory was picking up Courtny and her Belle Vernon friends from Southside… Of course, Katey asked if Chase Rice was Nickleback, so that was enough to ruin that memory. Speaking of picking people up, I’ll never forget when I picked up my aunts and cousins (the number of people that fit into my tiny G6 will remain a secret) from Southside and brought them back to my apartment. And finally, I’ll say it: I AM HAPPY I WENT ON THE TRIP TO WASHINGTON, D.C. Did I enjoy it at the time? Look at the pictures and captions and you tell me. Was it the most miserable weekend of my life? Quite possibly. However, it was also where Courtny and I became friends (spoiler alert: she friendzones me and I claw my way out (spoiler inside the spoiler: Kelsey is a fan of that foundation)). My relationship with Courtny has led me to so many of the people I will be saying goodbye to in the near future, and I’m blessed to know you all. Seriously up until 5 AM every Sunday because who starts assignments before 2 in the morning? Well… that was a doozy. It’s now 3:30AM, Courtny is passed out, her cat, who usually sleeps at my feet, keeps staring at me wondering when I’m gonna get off this painfully bright machine, and my eyes are rapidly getting heavier. Anyway, Happy New Year! Here’s to Pittsburgh, R&B’s pizza, and all of you crazy kids I call my friends. Yinz guys be safe tomorrow… the roads might be a bit slippy. P.S. 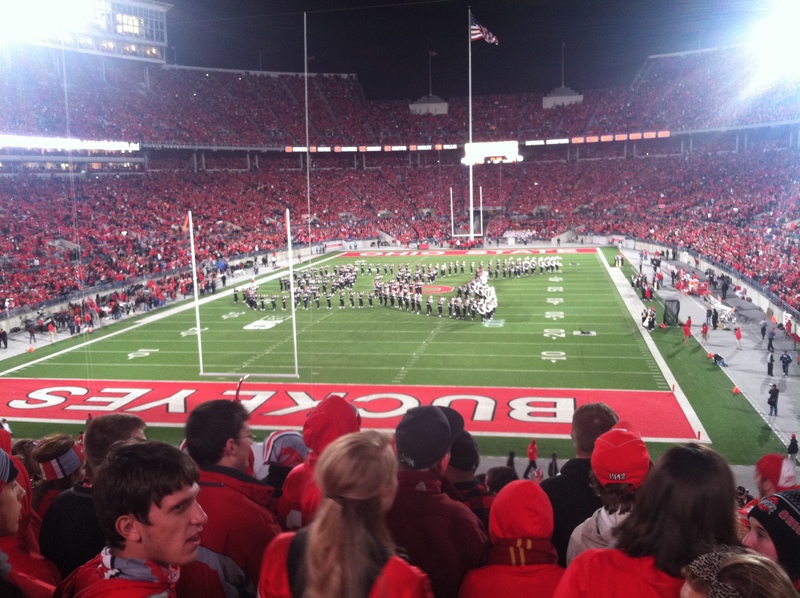 Keep an eye out for the blog about the big O-H!